Arcadia is the new film from BAFTA award-winning Scottish director Paul Wright, with the film focused around looking into our complex connection to the land we live in. Combing through 100 film clips from the last 100 years, lifted from the BFI National Archive and regional archives around the UK, the film explores the changing seasons and the ways in which they affect our relationship with the landscapes we find ourselves in. From the earliest days of movie-making to the present day, through rare and unseen footage, we see the changing relationship the British have with their land. From images of local celebrations and festivals to agricultural practices through the seasons, village life and lost crafts. Adrian Utley... Adrian is most widely known for his work as a member of Portishead. The past couple of years have been filled with production work - Perfume Genius, Algiers, Francoiz Breut, Marry Waterson and Three Kane Whale as well as work on commissions for an electric guitar orchestra and film scores. Together with Will Gregory, composed a new soundtrack for silent film classic “The Passion of Joan of Arc” with Will Gregory, performed by a 23 piece orchestra conducted by Charles Hazlewood, most recently performed in Autumn 2016 at Shakespeare’s Globe in London and Wells Cathedral, Somerset with further performances planned for late 2018. Also with Will Gregory, composed the soundtrack for a BFI funded film ‘Arcadia’ directed by Paul Wright to be released June 2018. Will Gregory... London-born Will Gregory is a composer, keyboard player, saxophonist and a member of the electronic music duo Goldfrapp with Alison Goldfrapp. He studied music at York University and during the 80's and 90's performed with Tears for Fears, The Cure, Portishead and Peter Gabriel. As a saxophonist he has worked with Michael Nyman, John Adams, Spiritualized and the Apollo Saxophone Quartet. 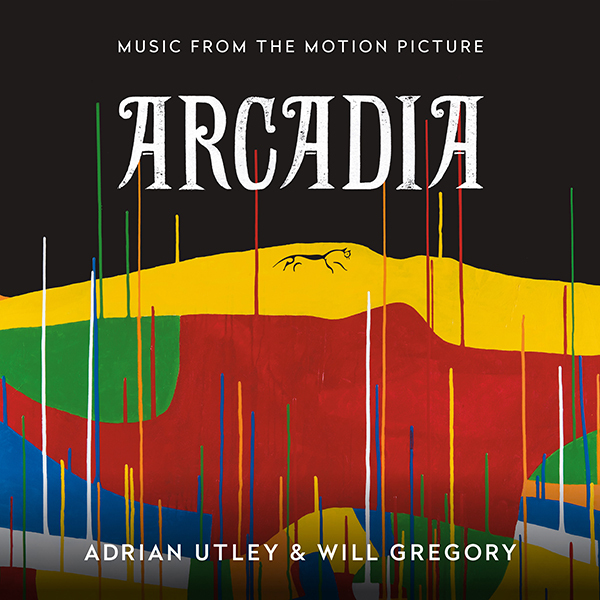 Together with Adrian Utley composed the soundtrack for the BFI film 'Arcadia' directed by Paul Wright. Currently developing a nine-piece Moog ensemble.